Food excites and satiates, tingles and makes us drool. When it comes to meats, all of the flavors and tastes and textures are too overwhelming to resist. Meats are experimental and cold cuts especially so. 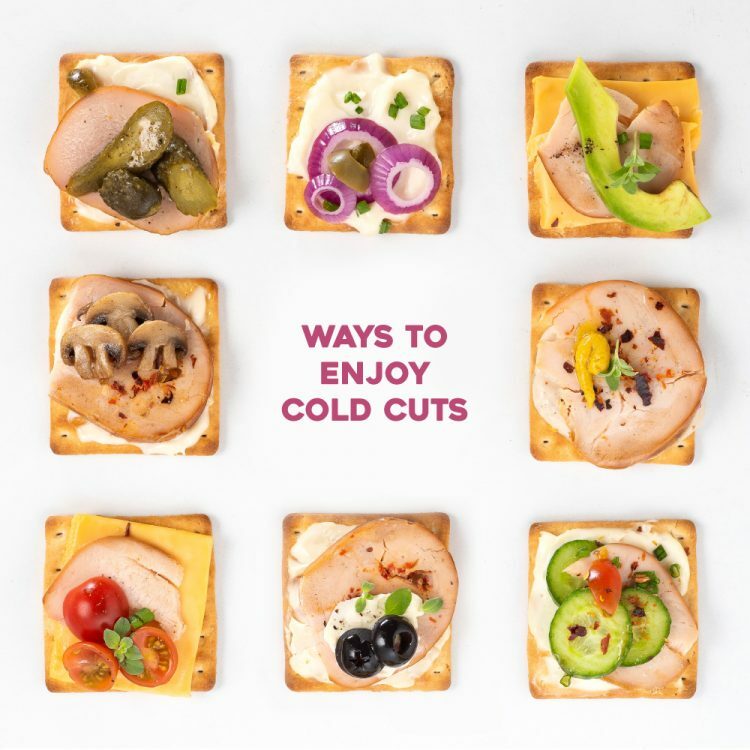 Versatile, eaten on the go and complementing any kind of cuisine, cold cuts make for excellent breakfasts. You can categorise cold cuts into sausages, frankfurters and salamis. Because they are ready-to-eat, they require minimal cooking. It’s the taste of the meats that is the highlight, with a slight infusion of smokiness or spice. Among cold cuts, sausages are the most popular. Imagine waking up late and no time to prepare brekkie or coming home on weekdays from a tiring day at work, finding no energy to rustle up anything. Viola! Just bring out the Chicken hot dog smoked sausages and warm to room temperature. Put them in a medium pan with crushed garlic and olive oil. Add a sprinkle of pepper, some onion, broccoli, sauce and blend together with chicken broth. Once steamed and cooked, this is a great accompaniment to pastas and rice. You can prepare Chicken Nuremberger in a similar way, with pasta or as delicious breakfast tacos with sausages, finely sliced onions, coriander and a basic mayo dressing. Chicken breakfast sausage with chives brings together all the flavours of Onion, Garlic and is a filling breakfast. The meat is sautéed in olive oil, set next to a platter of potato mash and with steamed vegetables on the side. When it comes to the classic hotdog, the best way to enjoy it is with mustard and mayo on bread. Add in scrambled eggs, cheddar cheese and whatever your heart desires, and you’ll definitely be transported to food heaven. Salamis are another variety of cold cuts that are as delectable. Chicken cooked salami with black pepper and red chilli powder makes for a great casserole dish with eggs, chives and tomato sauce slow cooked together on a pan. Another way you can experiment with salami is by layering it over a pizza or baguette with cheddar cheese and cilantro. As easy as these meats are for cooking, so versatile too the technique with which you can use them. Dice them up into pieces, coarsely chop them and blend with herbs, smoke or steam them or even savour them mildly cooked. Cold cuts make breakfasts infinitely interesting and begin days energetically too. Try our brand-new range of fresh meat hot dogs, sausages and salamis. Order Now! Share with us your favorite cold cut recipe, or one most commonly prepared in your home.